Dig out your Walkmans! 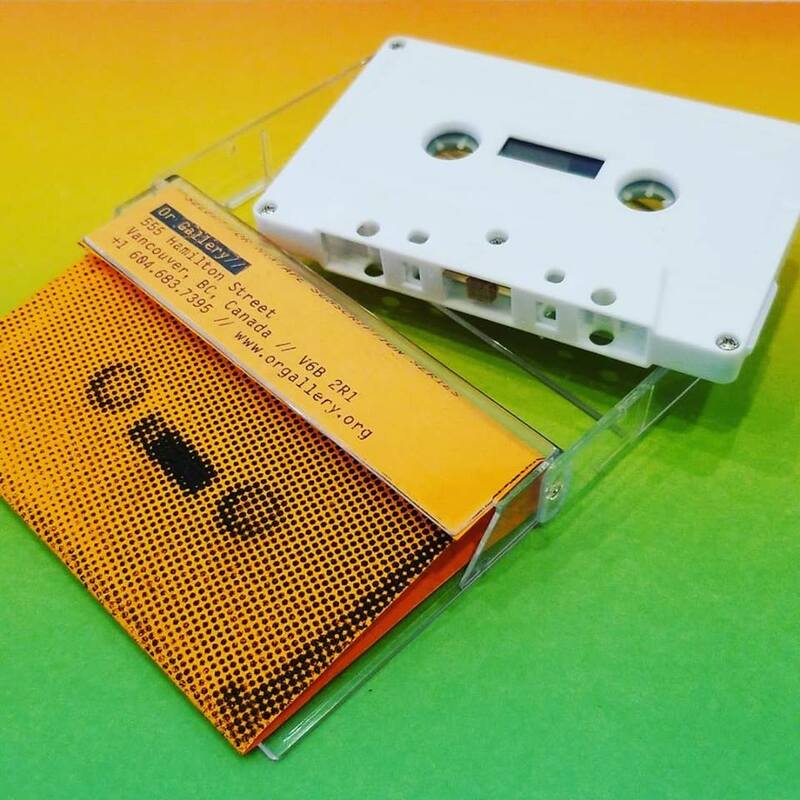 With a subscription to the series you will receive twelve mixtape audio cassettes posted directly to your door. Each mix has been selected by a mystery DJ whose identity will only be revealed in an audio outro. Tapes will begin shipping in March 2019. Alexander Alberro is Professor of Art History at Barnard College and Columbia University where he specialises in modern and contemporary European, U.S., and Latin American art, as well as in the history of photography. Recent books include Abstraction in Reverse: The Reconfigured Spectator in Mid-Twentieth Century Latin American Art (University of Chicago Press, 2017) and Working Conditions: The Writings of Hans Haacke (MIT, 2016). He is the founding editor of the University of California Press’ book series “Studies on Latin American Art,” which commissions publications of art history and cultural practices emerging from Central and South America, the Caribbean, and the Latin American diaspora in the 20th and 21st centuries. Sepake Angiama is a curator and educator interested in discursive practices, the social framework, and how we form our experiences in understanding the world. She is inspired by working with artists who disrupt or provoke the social sphere through action, design, dance, and architecture. She is the initiator of “Under the Mango Tree: Sites of Learning” a conference on alternative pedagogical modes in the arts, in cooperation with ifa (Institut für Auslandsbeziehungen), Stuttgart. Angiama was Head of Education for documenta 14, Kassel, 2017; Director of Education for Manifesta 10, Saint Petersburg, 2014; and Curator of Public Programmes at Turner Contemporary, Margate. She is currently on the curatorial team for the 2019 Chicago Architecture Biennial. Raven Chacon is a Navajo composer of chamber music, a performer of experimental noise music, and an installation artist. He performs regularly as a solo artist and with numerous ensembles in the Southwest and beyond. He is a member of the Indigenous art collective Postcommodity, with whom he recently premiered the 2-mile long land art/border intervention, Repellent Fence. Chacon has served on the Music and Native American Studies faculties at the University of New Mexico and as a visiting artist in the New Media Art & Performance program at Long Island University. He has presented his work in diverse venues, including the Vancouver Art Gallery, Musée d’art Contemporain de Montréal, San Francisco Electronic Music Festival, Chaco Canyon, 18th Biennale of Sydney, and The Kennedy Center. Diedrich Diederichsen is a German author, music journalist, and cultural critic. In the 1980s he was the editor of two music magazines: Sounds, Hamburg and Spex, Cologne. From 1998 to 2006 he was Professor of Cultural Theory at Merz Academy, Stuttgart. He is currently Professor of Theory, Practice, and Communication of Contemporary Art at the Academy of Fine Art in Vienna. Recent publications include Utopia of Sound, co-edited with Constanze Ruhm (2010); Rock, Paper, Scissor—Pop-Music/Fine Arts, co-edited with Peter Pakesch (2009); and On (Surplus) Value in Art published (Witte de With & Sternberg Press, 2008). Deborah Edmeades is an artist currently living in Vancouver whose work exists at the intersection of performance, the lens, object-making and drawing. Her performative practice has at times extended outside of an artistic or academic context and into therapeutic and esoteric experiments. Recent interests include the history of western esotericism and its manifestation in contemporary New Age religion. Edmeades’ work has been seen internationally at places such as the BALTIC Centre for Contemporary Art, UK; Ars Electronica, Austria; Exit Art and Participant Inc. in New York City, USA; Dalhousie University Art Gallery, Halifax, Canada; and the The Jeonju International Film Festival in South Korea. She earned an MFA at Simon Fraser University in 2014. Julia Feyrer is a filmmaker and artist who lives and works in Vancouver. She roots her practice in a material engagement with celluloid filmmaking and sculpture, with emphasis on the body’s relationship to these media. She conceives of the camera as a bodily extension of the human sensorium. In her approach to sculpture, she incorporates material and objects from home and studio into cast objects and installations—from brushes and moulds to mirrors, coins, and herbal remedies. Feyrer has had solo exhibitions at POTTS, Los Angeles (2017); Western Front, Vancouver (2014); Catriona Jeffries, Vancouver (2012); and Artspeak, Vancouver (2010). Her collaborative projects with Tamara Henderson include The Last Waves, Morris and Helen Belkin Art Gallery, Vancouver (2016); Consider the Belvedere, Institute of Contemporary Art Philadelphia (2015); and Bottles Under the Influence, Walter Phillips Gallery, Banff (2013). Jeneen Frei Njootli is a Vuntut Gwitchin artist who has performed and exhibited her work internationally, from galleries to rooftops, casinos, runways, and the bush. She works across numerous media and modes, including performance, sound, installation, fashion, and with community. Much of her work deconstructs the history of the materials she uses, investigating their relationship to trade, cultural regalia, and the politics of Indigenous Art. Frei Njootli is a co-creator of the ReMatriate Collective. Her work has been the focus of solo exhibitions at Fierman Gallery, NYC; Artspace, Peterborough; Southern Alberta Art Gallery, Lethbridge; and Definitely Superior Art Gallery, Thunder Bay. She participated in the 2018 Biennale d’art contemporain autochtone (BACA) / Contemporary Native Art Biennial, and LandMarks2017/ Repères2017. Arjuna Neuman is an artist, filmmaker and writer based in Berlin. He works with the essay-form across mediums to hold together different registers of the bodily, haptic, and affective through to the planetary, cosmological, and geopolitical. Neuman has exhibited recently at Whitechapel Gallery, London; Museum of Image and Sound, Sao Paolo; Istanbul Modern, Turkey; MAAT and Docslisboa, Portugal; Sharjah Biennial 13, UAE; Bergen Assembly, Norway; NTU Centre for Contemporary Art, Singapore; the 56th Venice Biennale and SuperCommunity; Industry of Light, London; the Haus Der Kulturen der Welt; Home Works Forum 7 at Ashkal Alwan and the Beirut Art Centre, Lebanon; Le Gaite Lyric, Paris; the Canadian Centre for Architecture; and the Rat School of Art, Seoul, among others. He also grows tomatoes and chillis in his studio. Denise Ferreira da Silva is Professor and Director of The Social Justice Institute (the Institute for Gender, Race, Sexuality and Social Justice) at the University of British Columbia. Before joining UBC, she was an Associate Professor of Ethnic Studies at the University of California, San Diego and, from 2010 to 2015, she held the inaugural chair in Ethics at the School of Business and Management and the directorship of the Centre for Ethics and Politics at Queen Mary University of London. Her work in the contemporary art sphere includes texts for the 2016 Liverpool and Sao Paulo Biennales; advising Natasha Ginwala, the curator for the Contour Biennale 8 (Mechelen, 2017); as well as events (performances, talks and private sessions) and texts that form part of her own practice, Poethical Readings (in collaboration with Valentina Desideri). The Music Appreciation Society is a make-believe secret society dedicated to the public appreciation of music. The primary activity of TMAS is to promote the discussion of music, especially popular music, in an art context. TMAS presents panel discussion listening events and music performances, and has produced a compilation CD, titled The Music Appreciation Society Presents Vancouver, British Columbia, Canada. TMAS is currently working on a book of interviews with artists about their relationship with music. The Music Appreciation Society is an ongoing collaborative project of Vancouver-based artists Brady Cranfield and Kathy Slade. The artists also work together making art and music as Cranfield and Slade. Their concept album, 12 Sun Songs, was released in 2009, as was a 7” single for Fillip magazine, entitled Sunshine Daydream. Their next record, 10 Riot Songs, was released in the fall of 2011.